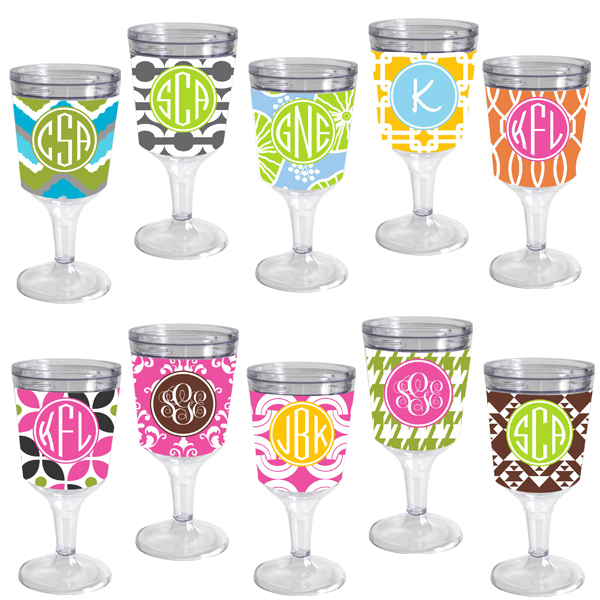 All Color and Monogram Options are listed below under the Product Options tab. 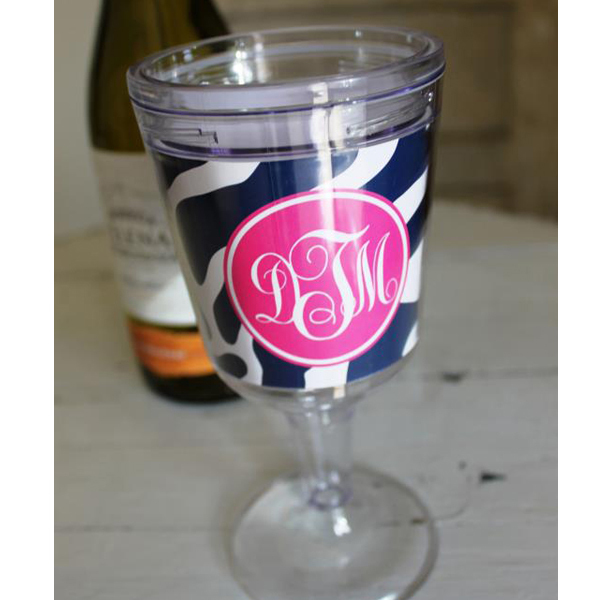 This acrylic wine tumbler adds splash of fun to any drink and it's a perfect way of always keeping up with your drink. 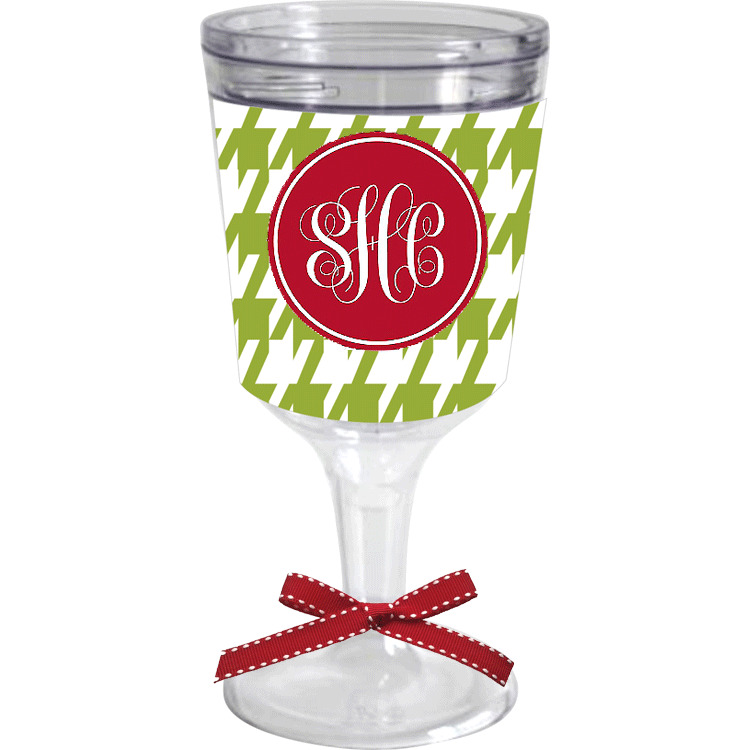 The double walled acrylic keeps your drink at the desired temperature and prevents condensation. Use it outdoors without the worry of breaking. 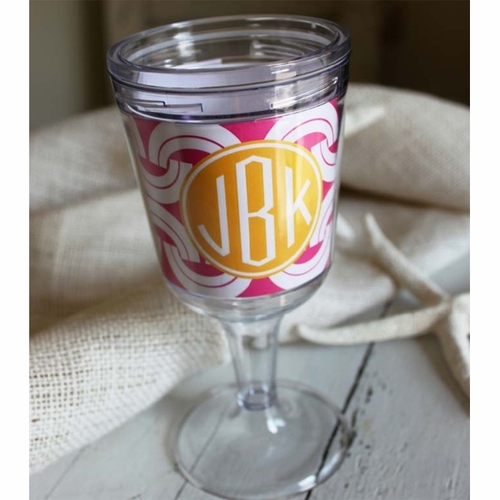 This delightful wine tumbler holds 10 oz and is great for any kind of beverage, cocktail or frozen drink. 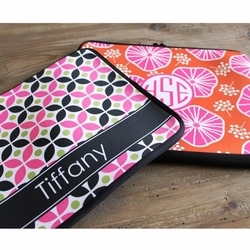 Choose from over 100 pattern and color combinations and monogram it with up to 3 initials to make it uniquely yours. 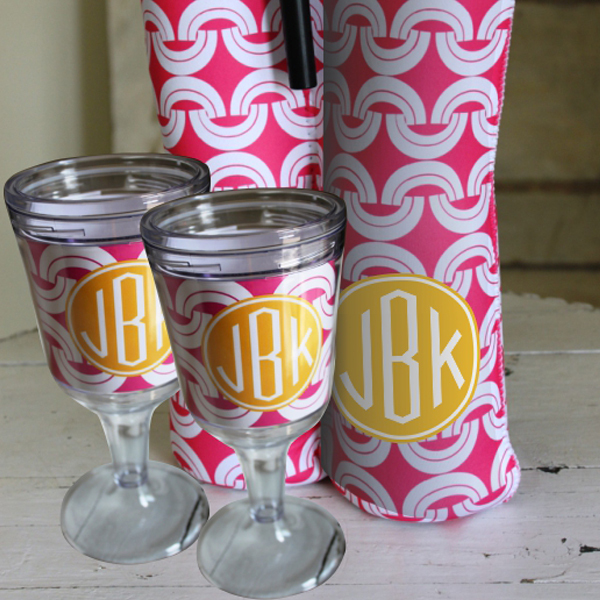 Makes a fun and memorable gift for any wine lover. 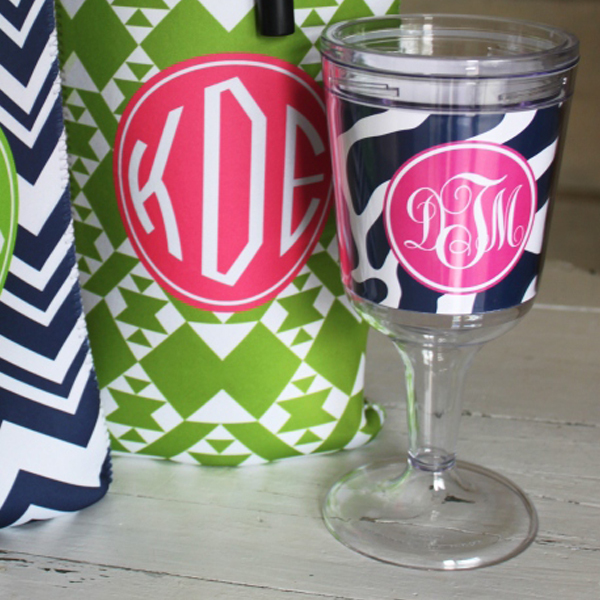 • This Monogrammed Product normally Ships in 3 weeks. Please allow 4 weeks for delivery. • Orders cannot be cancelled or changed after 24 hours. 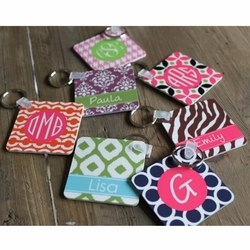 • Personalized orders are non-refundable as they are unique and custom made to your specifications. 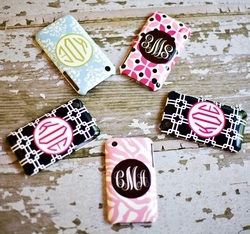 Please verify that you are selecting the correct phone case for your model of phone. • Please note that if ordering multiple items, some of our products may arrive at different times and in different shipments. • We will forward tracking information once the item ships. During the 3 week production time, we cannot give the exact status of this item. We can only estimate shipment times of 3 weeks. • During peak gift ordering times such as Christmas, Easter, Mother's Day, End Of The School Year, Back To School and Graduation some production times may be slightly longer. Please allow some extra time during these peak periods. 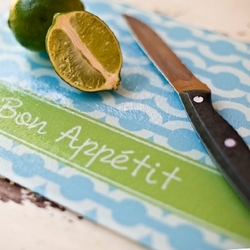 • Occasionally materials become out of stock or we are waiting on a shipment to arrive and can take slightly longer. We try our best not to let this happen, but occasionally it can occur. We will notify you if this should occur.